Achieve radiant-looking skin in just 10 minutes with the Clarins Extra-Firming Mask, a relaxing face mask for all skin types. 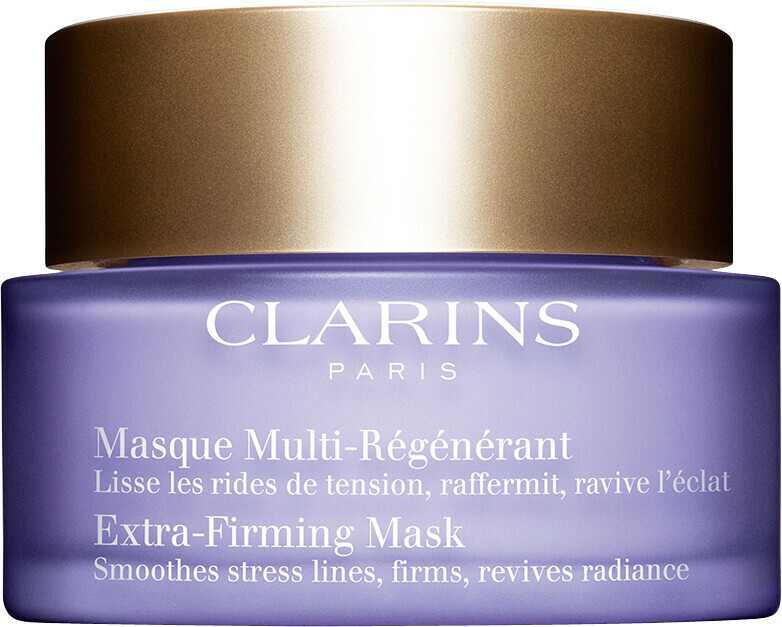 The Clarins Extra-Firming Mask features an efficient combination of skin-firming ingredients, which work in tandem to promote a visibly softer, younger looking complexion with minimal effort. Enriched in a sensorial, mauve tinted balm, this ultra-relaxing balm targets tension lines to ease the effects of stress and fatigue. Upon application, the firming complex of organic green banana extract, lemon thyme and Areola extract work to improve the elastin and collagen fibres bonds in your skin, whilst boosting the collagen production in your complexion. 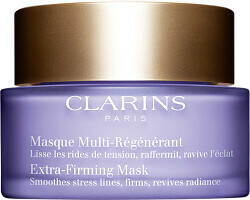 Added hyaluronic acid and glycerine extracts in the Clarins Extra-Firming Mask keep your skin looking and feeling hydrated. This rejuvenating face mask encourages the renewal of cells, boosting your skin’s natural glow to its full potential. Apply to cleansed skin, leave for 10 minutes then massage excess into skin or use your favourite Clarins toner to remove excess product.